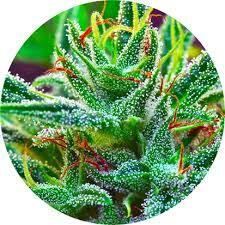 *Always store your cannabis in light proof containers once it is properly cured and dried. Sunlight, and light in general, can directly breakdown the THC and degrade the terpenes, cannabinoids, and other plant ingredients. *Attempt to store your cannabis in a crush proof container, as mashing or pressure on the flower will break and hasten the trichome degradation as well as crush the buds into smaller pieces through friction and breakage. *It is also important to consider an air tight container as the presence of fresh oxygen will hasten the oxidation and breakdown of cannabis components, as well as prevent the release of some of the lower volatizing terpenes and resinous substances. It will also eliminate any odor in the vicinity of the cannabis. *Always store cannabis out of the reach of children, in a childproof container, and in a secure area from theft or pilferage. *Dispensary containers are usually quite good and they label your cannabis with all the cannabinoid ingredients, percentages, and terpenes. It may also contain personal information and the name of your provider along with a date and batch number, grower id, etc.... Your own labeling system may be needed if removed from the dispensary packaging and placed in other containers. *The longer your storage time, the more careful you should be to follow the storage parameters. *It is also better to have a master storage area, and a smaller sub storage area to prevent opening and closing of your container excessively if you use cannabis frequently..